I am either an optimist or an idiot. I am not sure which one. I did the RAM Racing Hot Chocolate 5k/15k Race last year, and it was pretty much a disaster. My time was good (for a slow runner like me), but the race was crowded and disorganized. Gear check was a black hole, with the clearly overwhelmed staff unable to locate several bags, including mine. To add insult to injury, by the time us 15k runners finished, all the hot chocolate was gone, as chronicled by my friend Heather here. Last year’s race had, I believe, about 10,000 runners, and the participant consensus was that the field was way to big for the course, creating dangerous conditions in some spots. I vowed not to do the race again this year. Well, along came emails from RAM Racing, the organizers, telling me that they made some changes to the race and this year it would be better than ever. There was a new course! There was a new location! The chocolate would be better! They would have more of it! Really! It was going to be so very much better than last year! I was still hesitant. What’s more, I had a conflict – I needed to be somewhere by 10AM the morning of the race – which meant the 15k was out of the question. Sure, I could do the 5k, but as mentioned in an earlier post, I don’t do 5k races. The math just doesn’t work: getting up 2 hours early to do a race that will take less than 30 minutes makes no sense. However, I had a friend who was doing the 5k and she wanted some company. My friend was excited and enthusiastic, and RAM Racing was just so darn convincing. I was still reluctant after last year’s experience, but I figured if I did the 5k I would finish early enough get some of that much-touted hot chocolate. Before I knew it, I clicked the little “Register Here” button on the race website. Naturally, as I stood in pre-dawn darkness pinning a bib number onto my shirt, I regretted that decision. I was sleep deprived and it was cold out. Clearly, I was a fool. Once my friend Ilyse picked me up, however, the pre-race excitement set in. And it was the best kind of pre-race excitement, since the race was just a 5k, so nothing to worry about. All fun, no pain. My goal, however, was to beat my previous 5k time. I figured if I was getting out of bed a full two hours earlier than I would otherwise, I should at least have a PR to show for it. The weather was perfect and I had fabulous new Saucony Kinvaras on my feet. There was no reason not to get a 26 minute time, maybe 25. I was even enough of an optimist/idiot to think I might get a 24-something finish. As we arrived at the race, however, I should have known that things weren’t going to go as smoothly as I’d hoped. Even though the start was in spacious Grant Park, it was packed. Race officials/volunteers were impossible to find, and confusion seemed to reign. Being an idiot (optimist?) I once again had a bag, so Ilyse and I went in search of gear check. Someone said it was down at the far end of the staging area. We got down there to find no such thing. We happened upon a solitary hapless volunteer, the only one within a two-mile radius, who directed us back the way we came. The crowds were so thick that it was hard to move in some places. We weaved our way towards the mythical gear check as if searching for Camelot. Was it the white tent over there? No, that was the post race party. The purple tent far in the distance? No, that was Team in Training. Finally, we spotted gear check and started running, like Dorothy et al when they set eyes on the Emerald City for the first time. But unlike Dorothy and her friends, we ran not with joy but with fear – fear of missing the start. They were already playing the National Anthem. I sprinted over to drop my bag, and then turned to find that I had lost Ilyse in the mayhem. For crying out loud, we got separated before we’d even arrived at the start line. I weaved my wave back through the crowd towards the start, scanning the faces for Ilyse, looking for a needle in a 30,000 runner haystack. It was hopeless. I finally gave up and jumped into the start corral. I tried to weave forward through the crowd but it was difficult to move. I kept looking around for Ilyse, optimistically (idiotically?) thinking that I would find her. Then I approached the start line. It was time to give up searching for her and just run. So I did. The course, however, was too narrow to accommodate all the runners on it. We bunched up in pockets, slowing to a walk whether we wanted to or not. The police officers assigned to direct traffic were unable to keep runners confined to the course because, quite simply, the course was not wide enough for the number of people on it. 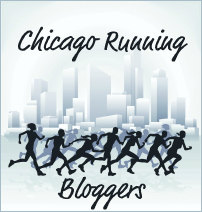 As we merged onto Lake Shore Drive, several runners hopped outside the barrels to get a clearer path. It is a small miracle no one got hit by a passing car. As we got off Lake Shore and weaved around Soldier Field, things opened up a bit. However, the course almost immediately veered onto the Lakefront Trail. Now, the Lakefront Trail is lovely, don’t get me wrong, but it is about 6 feet wide, not nearly large enough to accommodate the thousands of runners funneling onto it. I felt like I was stuck in traffic on the highway at rush hour. I gave up all hope of a PR and just moved along with the crowd. As we headed towards the finish I optimistically (idiotically?) sprinted, thinking I might be able to make up time, but in the end I was looking at 29-something, a good three-plus minutes slower than I wanted. It took a while to find Ilyse in the crowd at the finish, but through the miracle of cell phones we were able to track each other down. They we went to gear check, where my bag was promptly handed to me, much to my delight and surprise. We headed over to get some chocolate fondue (with really yummy pound cake to dip in it) and some pretty darn good hot chocolate. The crowds were still insane, and part of me was unwilling to let go of my this-race-is-oversold-and-disorganized anger. However, as I stood looking at the smiling faces around me, I realized it was nice for people who aren’t frequent runners to get the “big race” feeling. I would hazard a guess that a large number of the 5k runners had never and most likely never would run a massive race like Chicago Marathon. This was their chance to get the big race buzz. Granted, I still think RAM bit off more than they could chew. Chicago Marathon runs like a well-oiled machine. Hot Chocolate ran like a broken down jalopy. 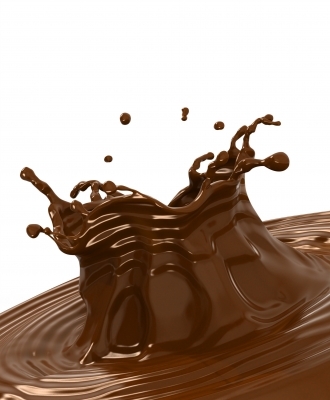 But chocolate fixes anything, and I think it is safe to say it fixed that race. A little fondue and all, or almost all, was forgiven. As I headed out to get to my 10AM class on time, I stuffed my pocket full of every piece of chocolate I could find. After all, I couldn’t get a PR, but at least I could walk away with something to show for my effort. I left the race happy, because I am an idiot (optimist? ), and a pocket stuffed with chocolate is good enough for me. Next year, however, I will sleep late and then make my own damn hot chocolate. And this time I mean it. Really. Great recap! I did the 15k variation and had many of the same observations and thoughts – it was my first 15k so I knew it would be a PR regardless, but I felt hemmed in and trapped several times. (My recap is here: http://elginista.com/2010/11/09/cold-morning-for-hot-chocolate/). I had the same thing happen – I was supposed to run with a friend but we couldn’t find each other in the crowd, even though we kept trying to call each other. (At a point, the crowd meant too many cell phones, which meant no service). This was my first “big race” too, as I live in the far suburbs and it’s my first year running. The biggest I had done prior to this was about 1800, which was a completely different atmosphere. I think you’re right, though – many who participated in the Hot Chocolate 5k will likely not do a race of such a scope again. But I also agree that RAM bit off waaaaaaay more than they could chew to the point of the crowd being dangerous. Next year, let’s all sleep in and meet up for leisurely hot chocolate and brunch. Sounds like you and I will be doing the same thing next year – sleeping late and relaxing. And hey, a PR is a PR, right? The fact that it was your first 15k was a minor technicality. So congrats!